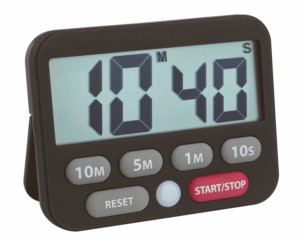 It’s not for nothing that kitchen timers are often called “egg timers”. Time plays a big role in the preparation of this breakfast classic and has a personal preference. The German comedian Loriot illustrates this with a lot of humour in his sketch “Das Frühstücksei” (the breakfast egg). When is an egg hard, soft or still raw? The cooking time is also closely related to how the eggs were stored. If they come straight from the fridge into the saucepan, they will need to boil for a few more seconds to reach the desired consistency. It’s therefore recommended to take the eggs out of the fridge a few minutes beforehand. Bring the water to a boil. 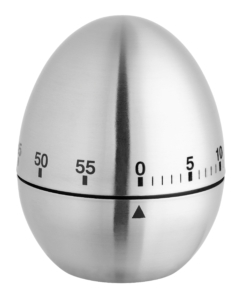 Once it boils, add the eggs and set the egg timer. Now you can look forward to perfectly boiled eggs for your breakfast, every time. Let’s continue with the breakfast. Are you a coffee drinker or do you prefer tea? For the preparation of these two hot drinks, the correct water temperatures as well as the brewing times are crucial. Coffee lovers will be probably surprised now. A mild coffee should take about four to six minutes to brew! For mocha and espresso, 30 to 60 seconds are enough. These brewing times are standard in most coffee machines. 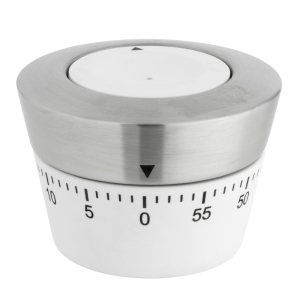 With a pour-over coffee – using a drip coffee filter holder – you can regulate the time by adding the water slowly. The ideal water temperatures for brewing are between 86 ºCand 96 ºC. 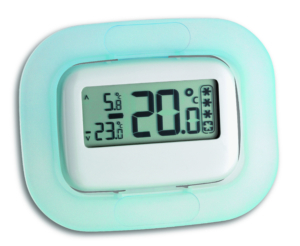 You can check the water temperature with a probe thermometer. 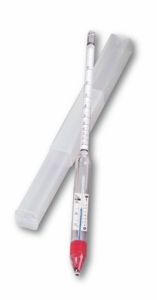 The convenient fold away probe thermometers “THERMO JACK” are ideal for easy temperature measuring at home. Viennese mélange, cappuccino or latte macchiato are now standard coffee options on most hotels, restaurants and high-street cafés or coffee shops. Serious tea drinkers know that their favourite hot beverage is only perfect if the appropriate brewing time is given. 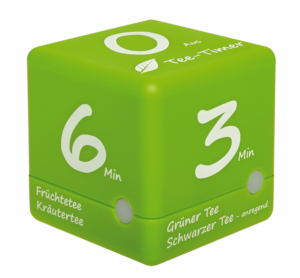 Depending on the type of tea, this can be between three to eight minutes. Black tea and green tea have a stimulating effect if left brewing for three minutes; from five minutes the tea will often taste bitter. Important is the correct water temperature during preparation. Now it’s time to debunk this popular belief: you should always pour boiling water onto tea. The water for brewing black tea has the right temperature immediately after boiling; with green tea, you should wait at least a minute before pouring the water. 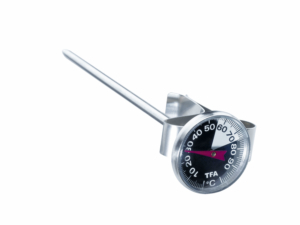 Thankfully you can count on our probe thermometer or the tea thermometer, which has been specially designed with tea lovers in mind. By the way, the ideal drinking temperature for hot beverages is between the average body temperature 37.0 °C and a maximum of 43 °C. 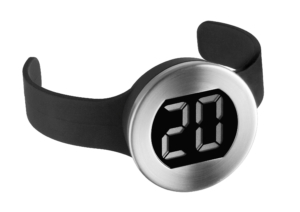 Here’s another time that plays an important role: the time for your enjoyment! Instead of a “coffee to go” why not take your time and enjoy this amazing drink? Give caffeine time to develop. We’ve never heard of rushed tea drinking, so our advice is: Keep it up, relax and enjoy your tea! 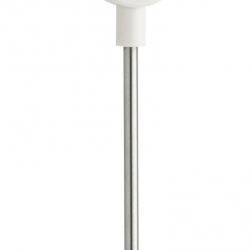 A well-tempered wine as a companion to food is no challenge with our digital wine thermometer. Whether white, red or rosé, wine remains entirely linked to the taste and choice of food. The drinking temperature for this fermented grape juice is between 8 and 18 degrees. White wines are best consumed cool and at 8 to 14 degrees. A red wine has the perfect temperature between 12 and 18 degrees. Those who prefer a rosé or a Rotling wine, enjoy this best at moderate 10 to 14 degrees. 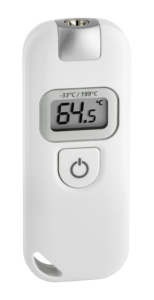 With our wine thermometer, the temperature can be easily determined from outside the bottle. A cold beer is the ideal companion for after work or for a BBQ. Here, cool has a different meaning. While you drink a non-alcoholic beer at 4 to 6 degrees, a larger (e.g. pilsner) should, however, be tempered to 8 degrees to savour its full taste. The recommended drinking temperature of Belgian-style beers (i.e. beers with high alcohol content and low bitternesssuch as pale ales, dark ales, fruity beers and sour ales) is 12 to 14 degrees – which could be described as warm by comparison. 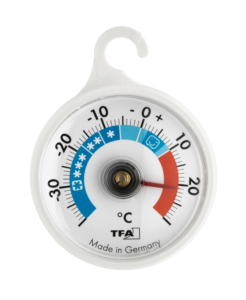 Our wine thermometer can also determine how warm your bottle of beer is. Just place it around the bottle, read it and cheers! Another piece of advice: It’s best to ensure the ideal storage temperature in a wine fridge or refrigerator. Fine homemade chocolates or confectionery – with a thermometer, making these little and delicate things it’s just easy. 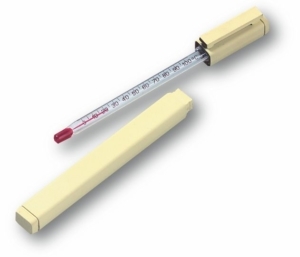 Because when it comes down to cooking sugar or melting chocolate, maintaining temperature accurately is an absolute must in order to achieve the desired consistency. The “THERMOWIRE” has its own cooking profile especially designed for sugar. 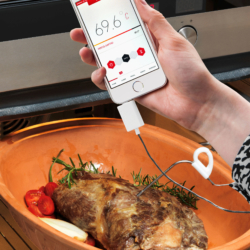 Simply plug the sensor into your smartphone and start the app. 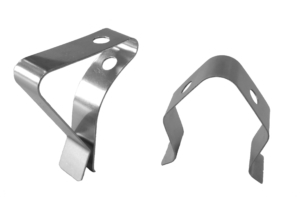 There is a special clip for attaching the probe to the saucepan. If it’s homemade, we love it. TFA Dostmann has the correct tools for you, even for making delicious milk products such as quark or other types of cheese.